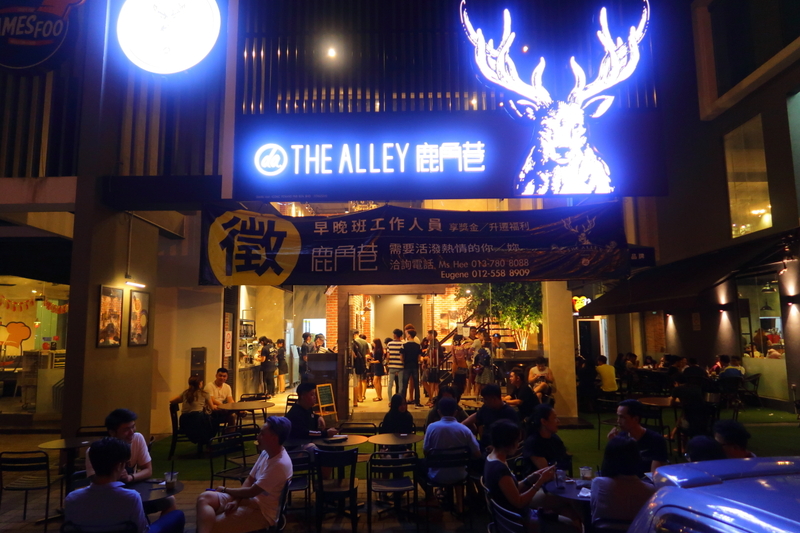 I finally tasted 鹿角巷 The Alley‘s famous bubble tea. Sad to say I was not impressed by the service nor the taste. 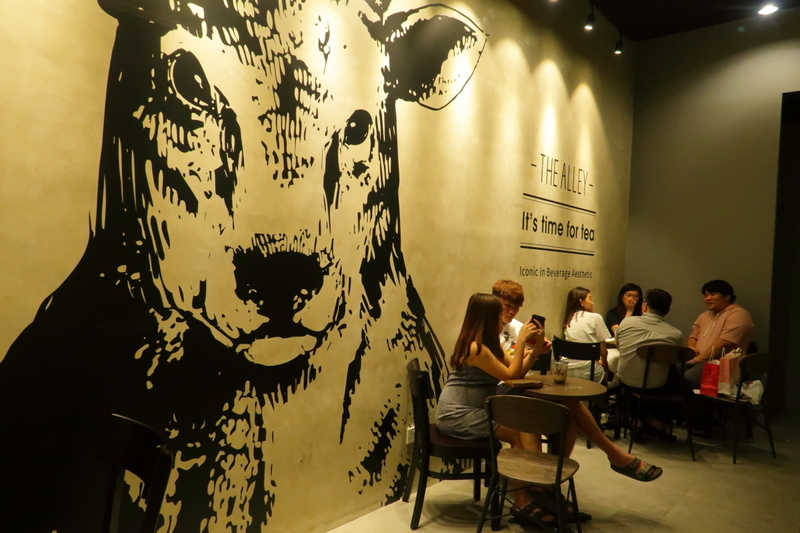 Maybe I went to the wrong branch, because it’s apparent that the outlets in Penang have a lot of bad reviews compared to those in KL. How bad? The review score is 2.9 (out of 5) for Icon City’s vs 4.8 for Kepong’s. 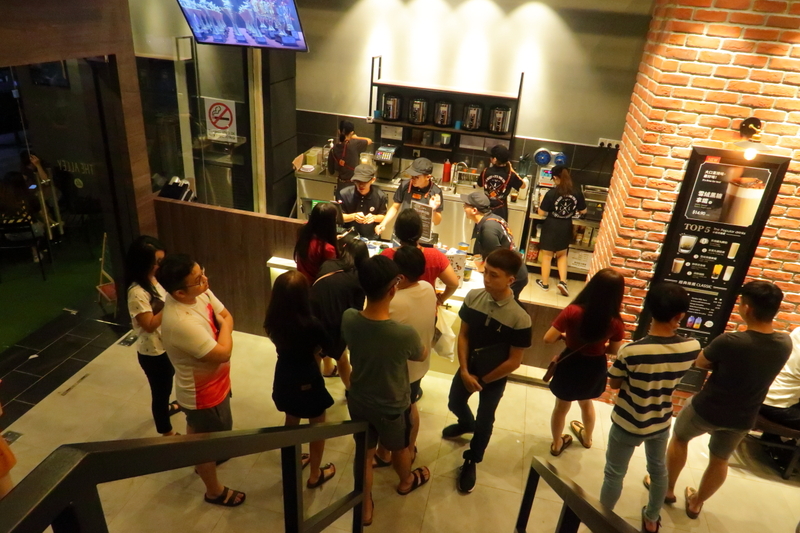 Icon City in Bukit Mertajam is now a hot spot for bubble tea, as there are about 4-5 of such shops just within walking distance to one another. And the most surprising thing? All of them are full with never-ending queues. I for one did not expect bubble tea to be so popular in my hometown. They are not even cheap to begin with considering the average cup costs RM12++, a lot more than Tealive or Chatime’s prices. Also, there’s a chance that your visit to The Alley will be in vain, as they might run out of brown sugar pearls and you will have to wait for an hour. FYI that actually happened to us. 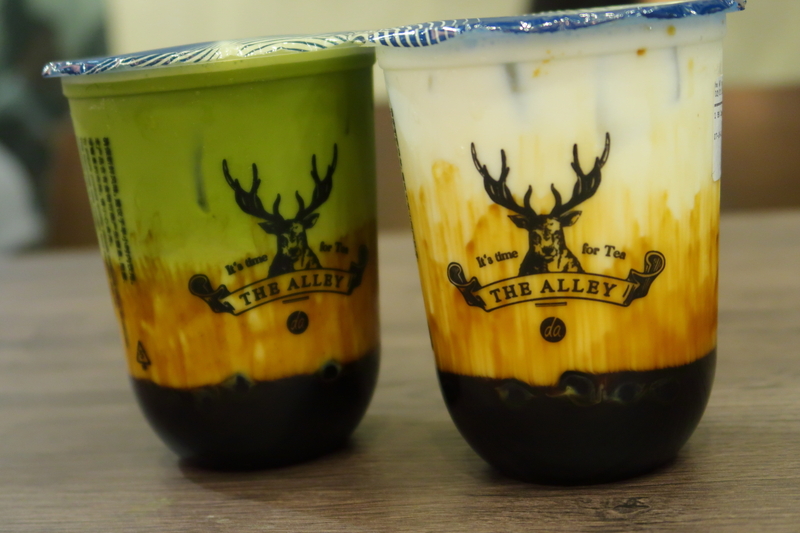 If you don’t know yet, The Alley does not allow you to specify the sweetness or the amount of ice in their drinks. It sure makes ordering a lot simpler but not so great for those who prefer to customize their drinks. I had their signature Brown Sugar Deerioca Milk @ RM12.90. The first sip I took when the straw was positioned at the bottom of the cup was wonderful. The intense aroma and sweet rush of the brown sugar was really something. But after you stir the pearls and brown sugar around, the entire drink feels like a slightly sweetened milk – one that you could make yourself at home. 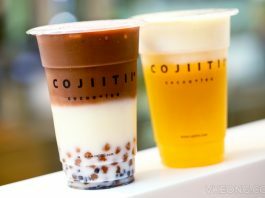 Clearly, Cojiitii’s Fresh Milk series are the superior choice and not to mention cheaper too! **This post was not made to discourage you from trying The Alley. If you are a first time customer like me, perhaps it’s best to avoid the branches in Penang. 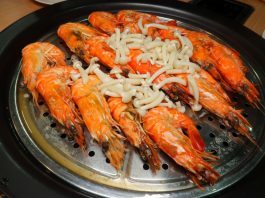 Try it in KL instead.